There were two Viking invasions in Yorkshire. The first sometime in the 9th century and the second, more precisely, in 1984. 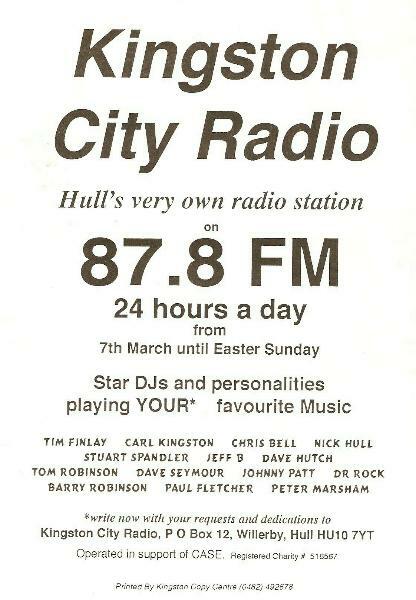 This was the year that commercial radio arrived in East Yorkshire and North Lincolnshire (carefully avoiding any reference to Humberside). The first nineteen independent local radio stations had launched between 1973 and 1976. The second phase kicked off in 1980, with a service based in Hull twenty-seventh on the list. 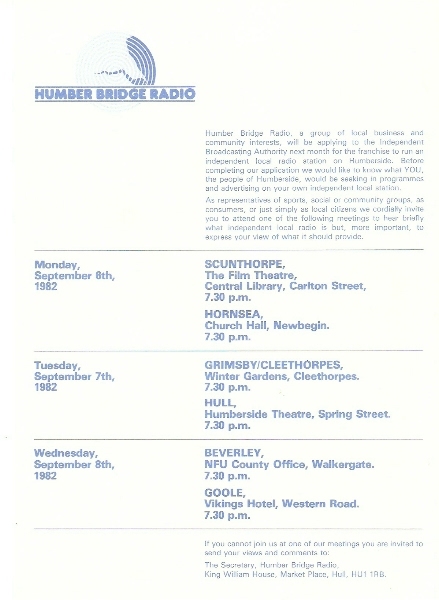 The first we locals know of the new service was in 1982 with public notices and flyers inviting anyone to attend meetings to hear about the radio application by a group calling themselves Humber Bridge Radio. I ended up going to the Hull Truck Theatre meeting, though regrettably I can remember virtually nothing about it. Pre-launch the Managing Director was Ian Rufus, whose radio experience included working as a reporter at Hallam in the 70s and launching Mercia Sound in 1980. Six months before it was due to go on-air Roger Brooks was now managing the station, Rufus having returned to Mercia, which now had a new name - Viking Radio. Alongside Brooks, also ex-Hallam, was Programme Organiser Dave Jamieson, fresh from Mercia Sound. Dave had been appointed by Rufus but decided to join Viking anyway when his boss moved back to Coventry. 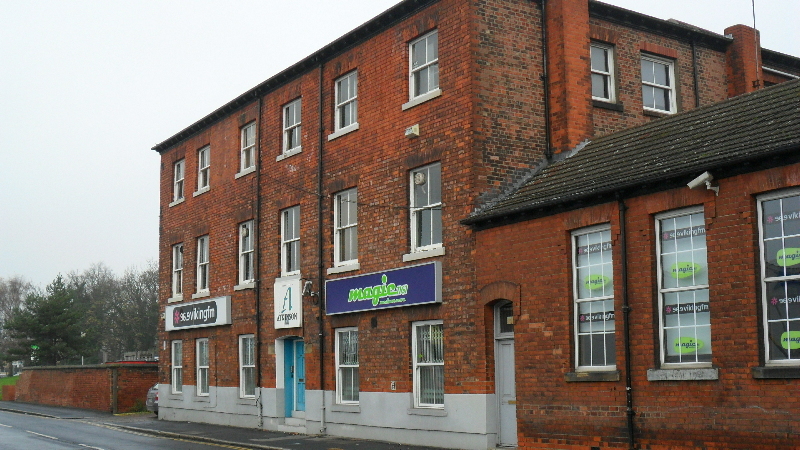 He was the first of the team to relocate to Hull and bought a house in Pearson Park, just minutes away from Viking’s first temporary offices at the old Rediffusion House on Beverley Road. 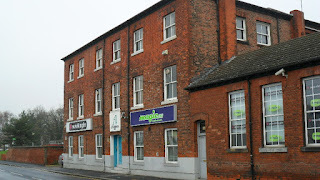 Later they would de-camp to 62 High Street in the Old Town before moving into the newly re-furbished HQ in an old docks office building on Commercial Road. Dave recalls that in his spare rooms at his house he had the MD, Sales Director and Presentation Department secretary all boarding with him for a while. Together with the MD he went through the audition tapes that had been sent in (they didn’t have to advertise) to draw up the DJ short list. They wanted at least one female voice on the team but none of the demos made the grade. A draft schedule and Presentation Manual with guidelines on the station ‘style’ was put together with a view to launch on 17 April. Test transmissions started in mid-March beaming out on 258 metres medium wave (1161 kHz) and 102.7 MHz on VHF/FM. Initially tests followed the IBA-prescribed guidelines of a number of one-hour pre-recorded selections of music and formal announcements every 15 minutes. Dave Jamieson told me that he thought “this was a waste, because, apart from everything, the new team of presenters needed to gain experience using the equipment. So I rang the IBA and asked if we could do the test transmissions live, provided we stuck to the format. After a bit of persuasion, they agreed, so we were able to give time checks and promote the programme line-up and so on.” These music tests started on 30 March and as far as is known Viking was the first and possibly the only ILR station to do live transmissions. In this sequence of tests you’ll hear the official IBA announcement that I recorded on 27 March and then a whole host of programme trailers all recorded on 4 April. In the next post: Viking Radio launches, meet the DJs and all about those wonderful opening jingles. Thanks to Dave Jamieson for his help with this post. You can hear Dave every weekday afternoon on Spain’s Coastline FM. A timely reminder to put your clocks forward one hour this weekend, as we enter summer time, with this Radio Times graphic from March 1987. 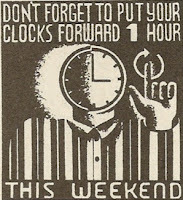 You may be using the pips to help you reset your clocks, watches and timers. So here’s a short Arena film broadcast as part of their Radio Night in which Dr Carl Dolmetsch noticed that the pitch of the time signal had dropped by a semitone from B natural to B flat and how the BBC corrected it. This programme was transmitted on Saturday 18 December 1993. Well it’s nearly come to end. Did you last the course for a year? Radio 2’s supremely enjoyable documentary series Sounds of the 20th Century concludes this Thursday evening with a review of 2000. The juxtaposition of music and news reportage is very powerful and can sometime pack quite an emotional punch. I don’t know what the listening figures have been like but I’m aware that there has been demand for podcast and CD versions of the series, both unlikely given the cost of rights for the music and some of the archive material. Of course the idea for the series itself is a recycled one and has its genesis in Radio 1’s 1980 series 25 Years of Rock (1955-79). That was so popular that it was repeated with added years in 1985 as 30 Years of Rock (1955-1984). I have that series on tape so it’s been interesting to spot the differences between it and the current version. Both 25 Years of Rock and 30 Years of Rock relied heavily on the old newsreel films (British Pathé and Movietone) for their news stories. So it was apposite that Adrian Juste’s light-hearted look at the events of 1980, 26 Years of Rock, used the voice of British Pathé for 30 years, Bob Danvers-Walker. 26 Years of Rock was first broadcast on Radio 1 on Friday 26 December 1980. This recording is of the revised repeat on Saturday 26 September 1981. With the demise of Round the Horne following the death of Kenneth Horne in 1969 the cast went their separate ways. The ensemble of Horne, Kenneth Williams, Hugh Paddick and Betty Marsden had been in comedy’s top flight for a decade. Post-Horne, Williams, Paddick and announcer Douglas Smith teamed up with Joan Sims for the short-lived series Stop Messing About. 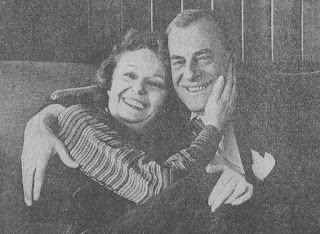 But it was to be another 9 years before Hugh Paddick and Betty Marsden worked together again in the 1978/9 Radio 4 comedy show The 27 Year Itch. No longer paired as Dame Celia Molestrangler and ageing juvenile Binkie Huckaback they played the more prosaically named couple Dorothy and Edward, a married couple “with enough problems to keep Marjorie Proops on overtime until 1990”. Described as a “marital black comedy” The 27 Year Itch was written by Barry Pilton who, at the time, had just finished working as one of the script writers on Week Ending. The show’s producer was Geoffrey Perkins, an assignment a million miles away from the other programme he’d just been working on, the Hitch-Hiker’s Guide to the Galaxy. As you’ll hear in this first episode from the second series it was a pretty standard family-based sitcom lifted somewhat by Betty and Hugh’s acting. Their grown-up children Sebastian and Hilary are played by Stephen Pacey and Tammy Ustinov. This programme was first broadcast on Monday 21 April 1980. Found in my box of ‘miscellaneous radio stuff’ was this flyer for an RSL in Hull called Kingston City Radio. There’s no date but I’m assuming it’s from the early 1990s - sometime after the 1990 Broadcasting Act and before the extra ’1’ was added to area phone codes in 1995. Can you date it? There are some familiar names: Tim Finlay was an early Viking Radio recruit and had kicked things off on the Yorkshire Radio Network; Carl Kingston was well known in the area to Radio Humberside and Viking Radio listeners; Chris Bell was also on Humberside; Tom Robinson is, I assume, the Tom Robinson from the hospital radio service Kingstown Radio; and of course, Charles White aka Dr Rock was also a regular contributor on Radio Humberside and is still doing his thing on Radio York.